The perfect place to gather friends and family on gorgeous summer days and nights, the Siesta poolside bar features an inviting place to sit and relax while enjoying great food and conversation. Also providing for practical needs, this design figures space for storage and privacy, combining functionality with hospitality and entertainment into one fun package. 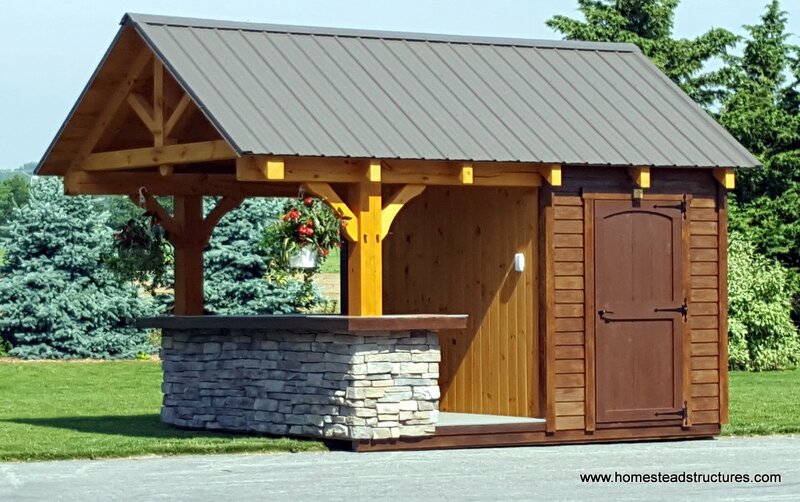 The Siesta takes the traditional bar shed to the next level! 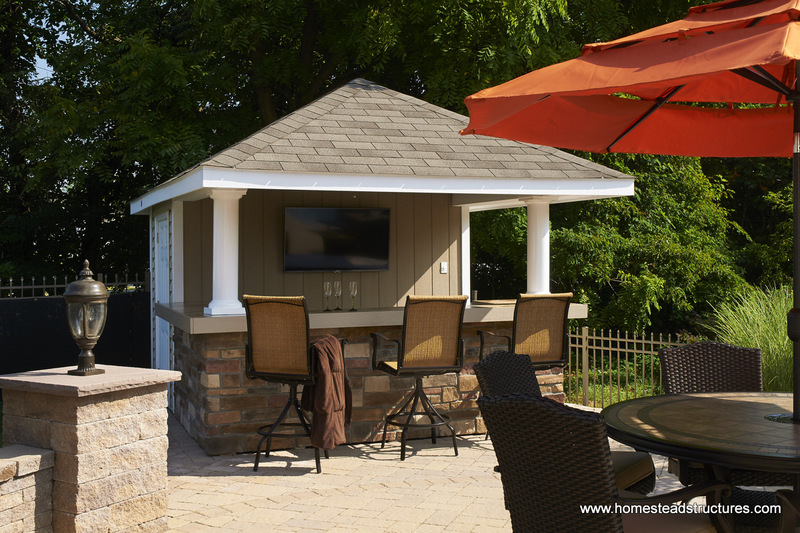 Fill out the form today for a free project estimate! 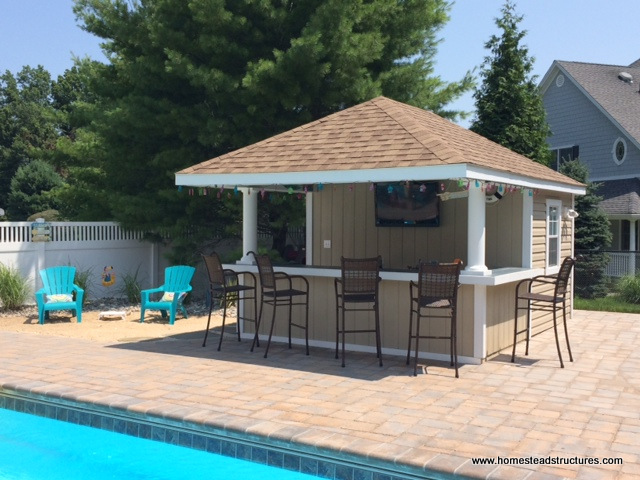 Entertaining is easier than ever with a Siesta, since this versatile pool cabana can be designed as simple or as extravagant as you wish. 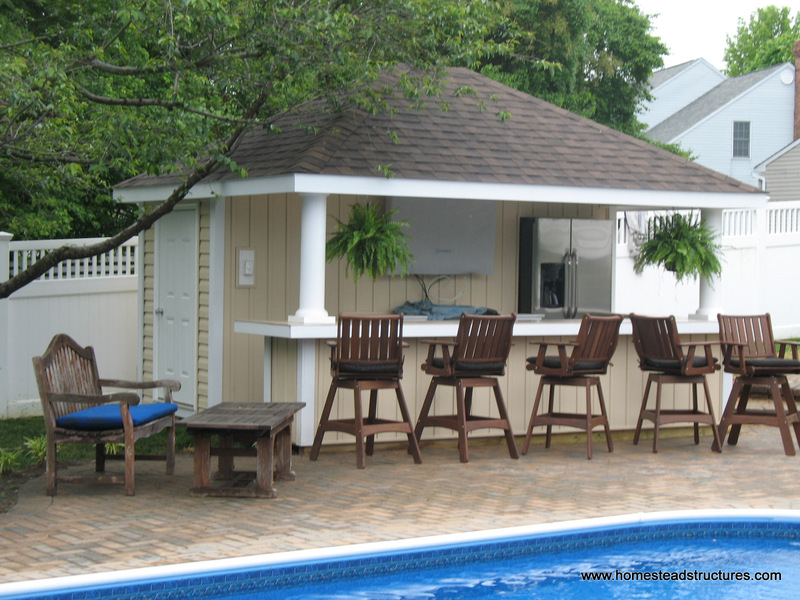 Adding a refrigerator, or a built in grill, and cabinets underneath the bar makes entertaining or just hanging out by the pool even more fun. 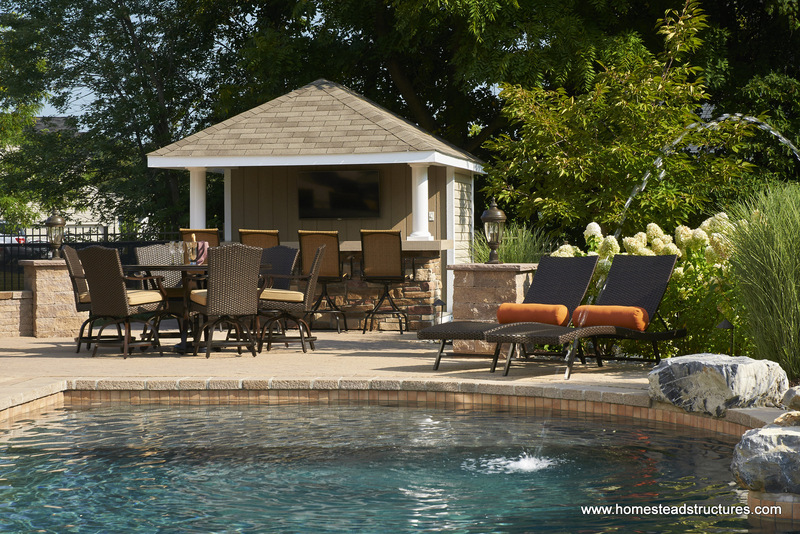 Other options that can enhance the value of your Siesta pool house include a light and fan combo for warm summer nights, and tile or granite countertop. 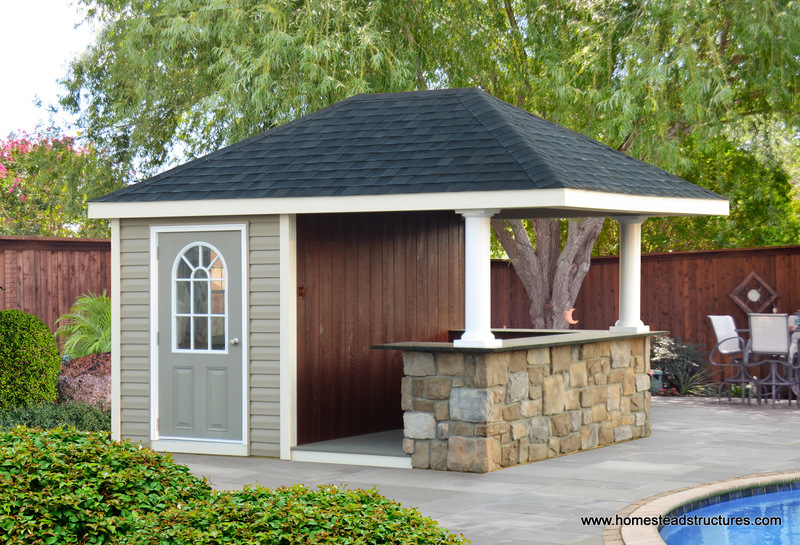 Built by Amish craftsmen in Lancaster County PA, your Amish Pool House is prefabricated and either delivered and installed on your property, or assembled efficiently on-site. That means you get to avoid the usual noise, clutter, and dirt of most home renovations. Your property stays clean and organized and ready for entertaining within days! 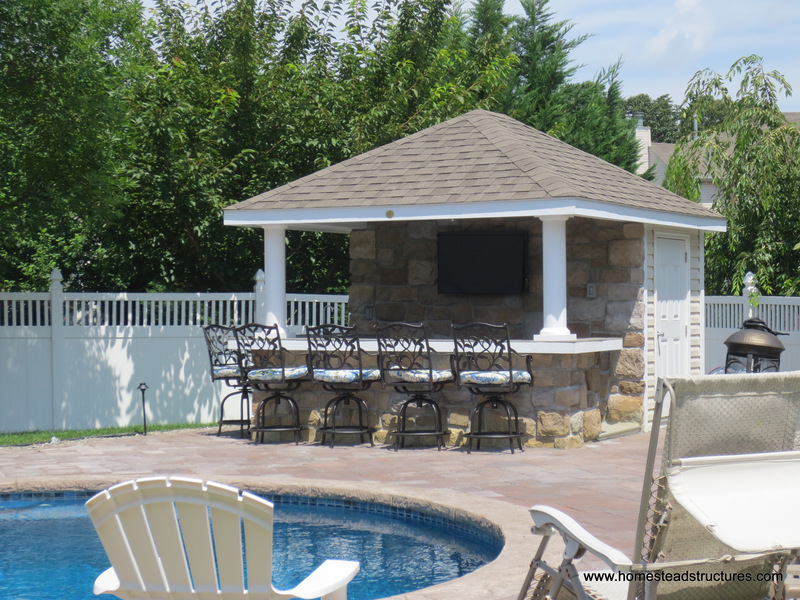 We can work with your landscaper or pool contractor to coordinate projects to elliminate downtime so your project can be finished in the most efficient manner available. 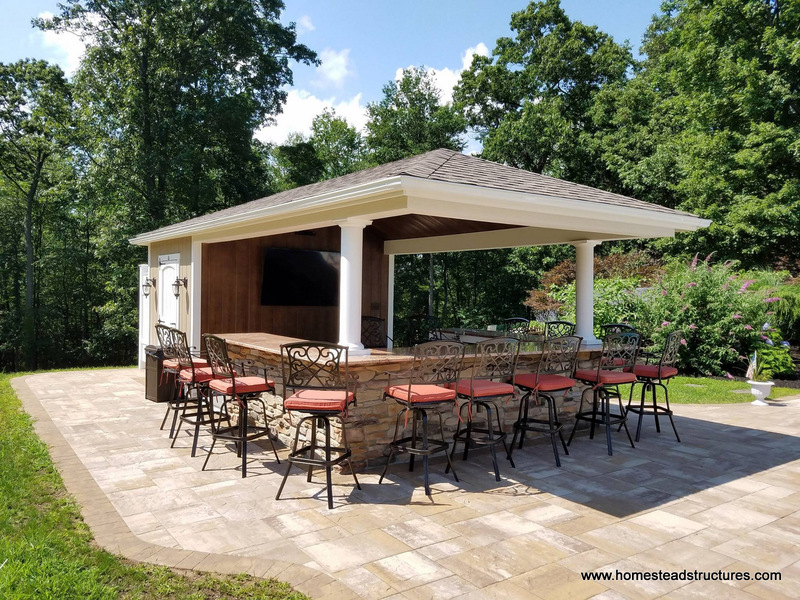 Browse through our Siesta Pool House Album and our Pool House Options for more ideas, and let us know what is important to you. 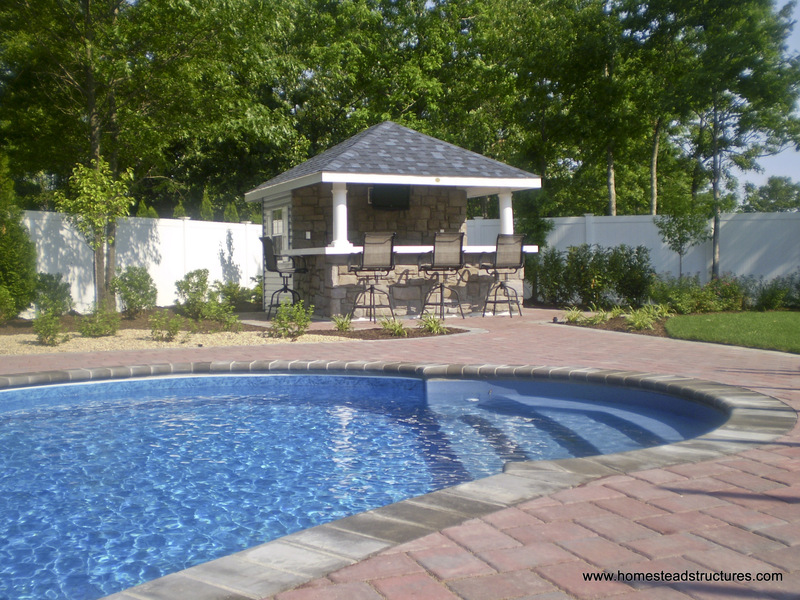 With our in house design team Homestead can custom design the pool house that is perfectly suited to you. Architectural drawings and 3-D renderings can help you visualize how the Siesta Pool House can enhance your time at the pool.